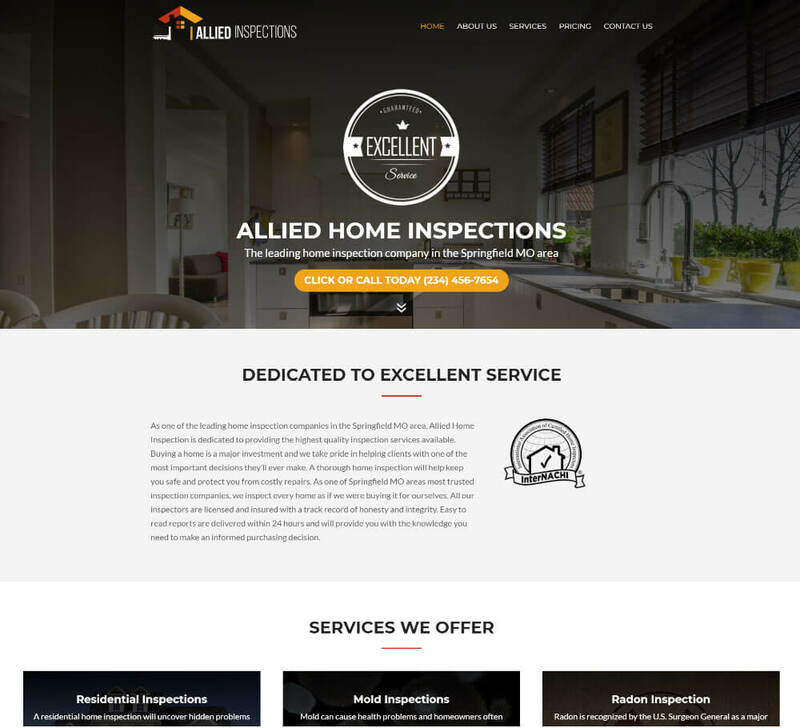 Modern home inspection website templates and web design at an affordable price. Your website will be modern and beautiful in design so you’ll outshine your competition. Top notch coding ensures the site is fast and reliable. 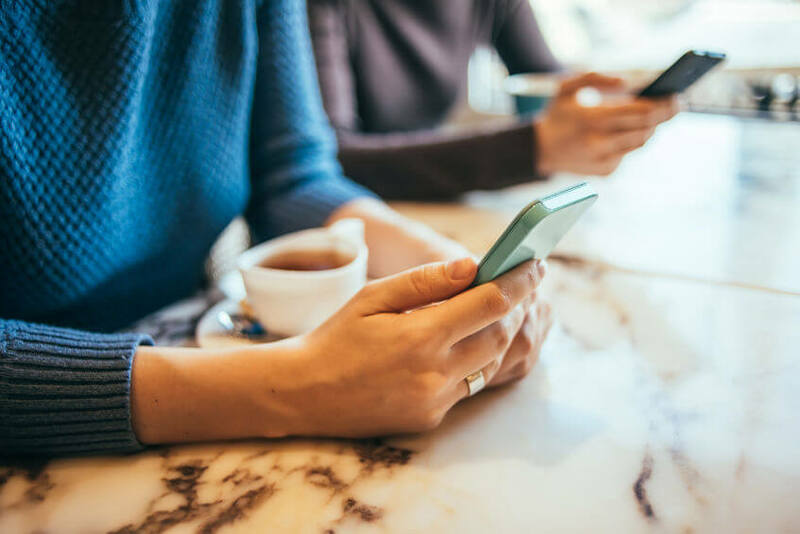 Your mobile responsive, phone optimized website will have the latest technology and look great on desktops, laptops, tablets, and phones. 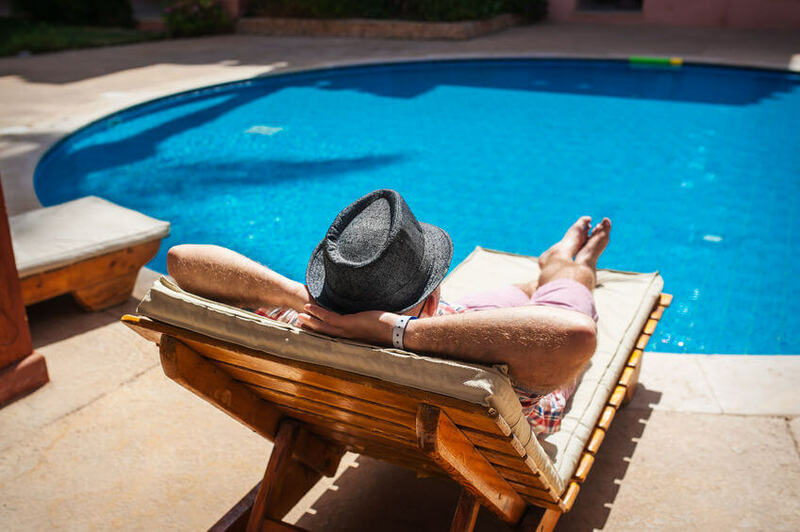 We take care of all the updates, maintenance, and hosting for your website so you don’t have to worry about a thing. 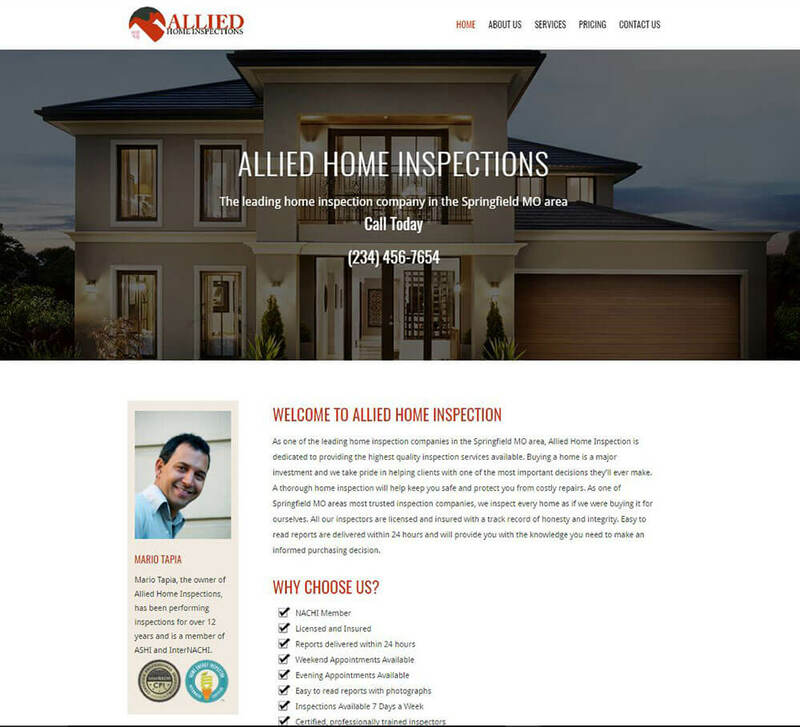 For about the price of one inspection a year you can have a professional website for your business. Just one client a year from your site will pay for the entire service, everything else is pure profit. It’s hands down the best marketing investment you can make. 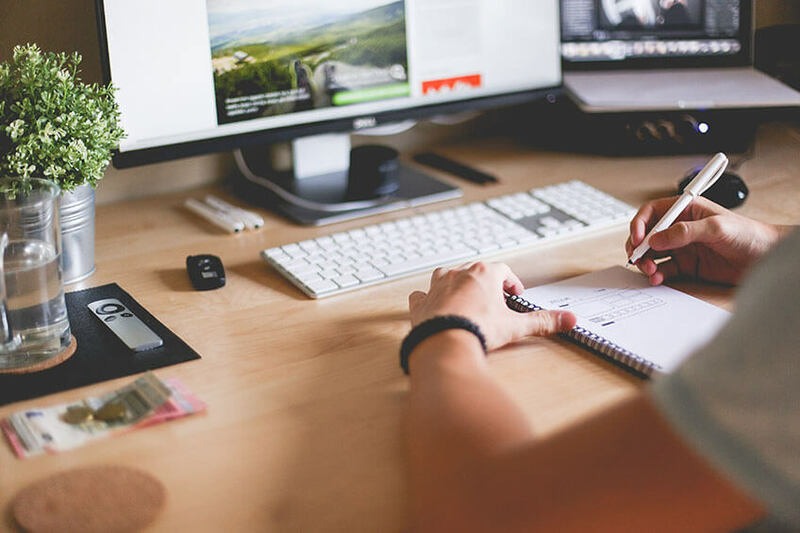 Quality code, fast load times and custom meta tags are just a few things that will help your website rank higher in search engines. If you have a Google account you can use analytics to view your web traffic and more. 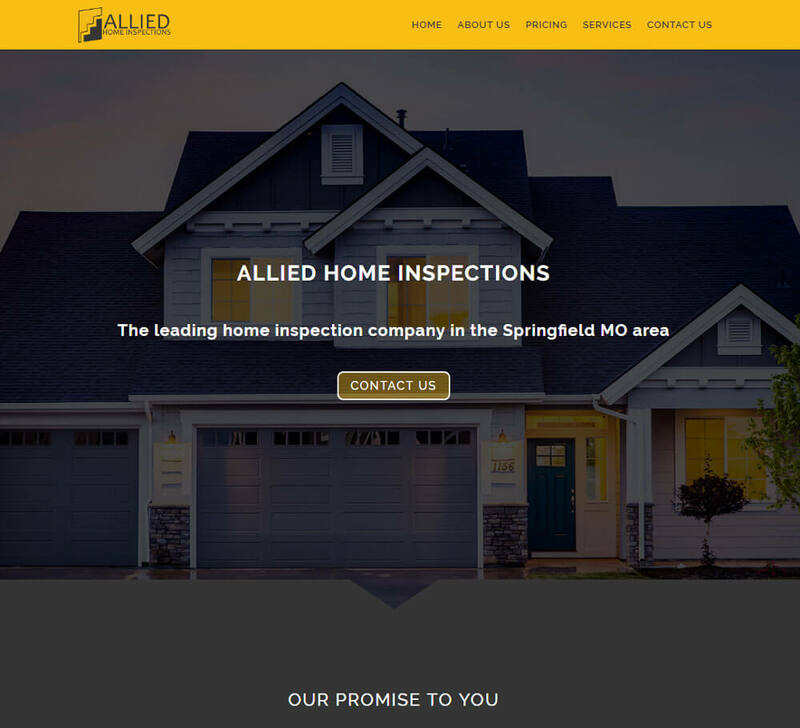 Its common to change an image or wording on your website occasionally. That’s why we offer free minor changes to your website based on your chosen plan. Just shoot us an email and we’ll get it done ASAP. 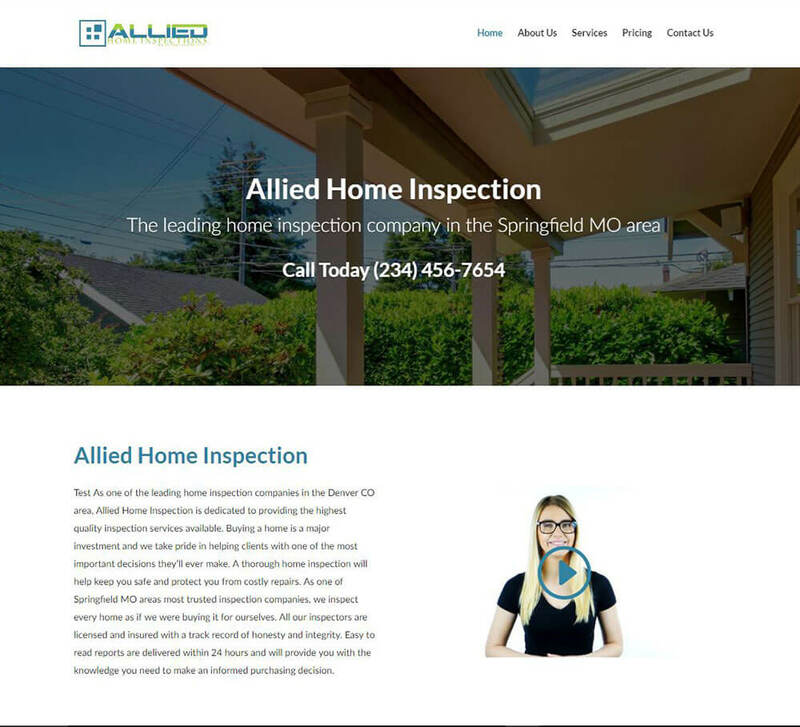 Potential clients will check to see if you have a professional website. 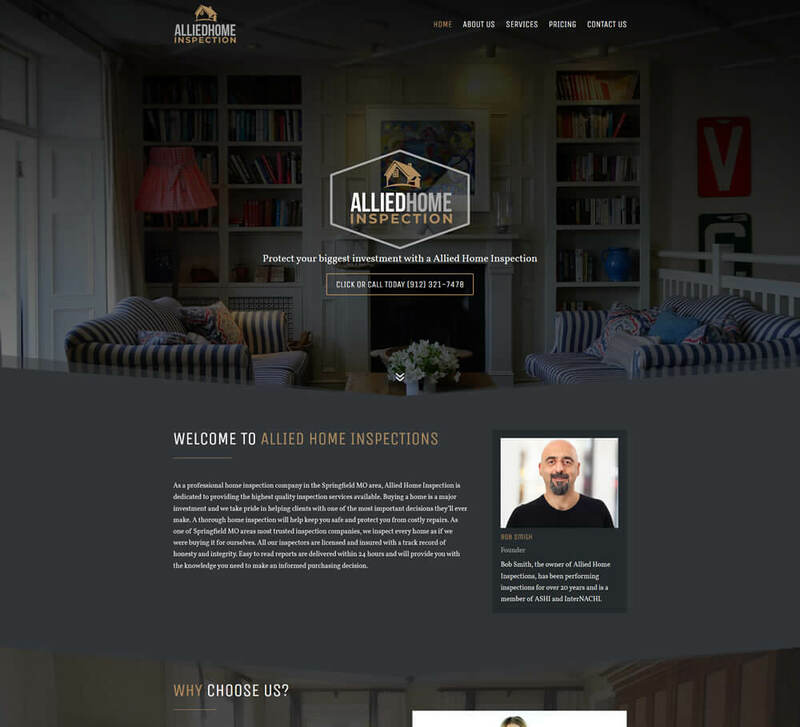 A modern, high quality website will help you get more clients than a homemade or outdated site. 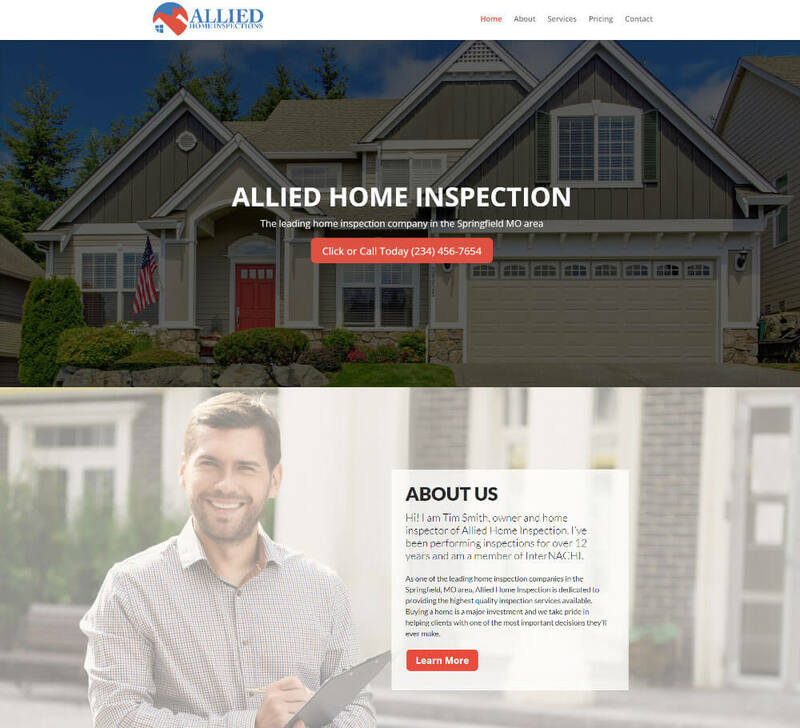 We use only high quality graphics and design so you have the best looking site in your area. 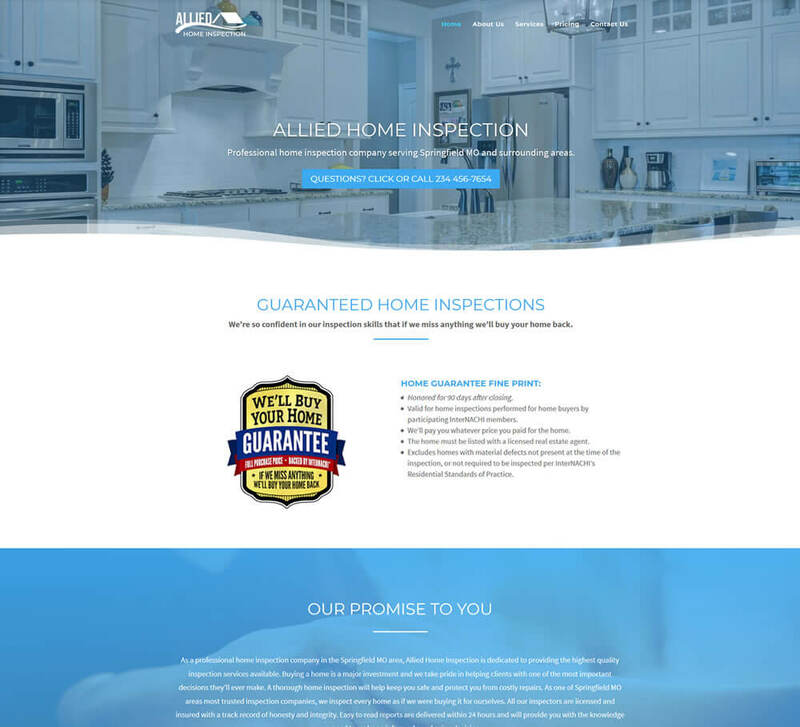 We believe that you should only have your website as long as you need it and are 100% satisfied, therefore we simply don’t do contracts. You’re free to cancel your website at any time. 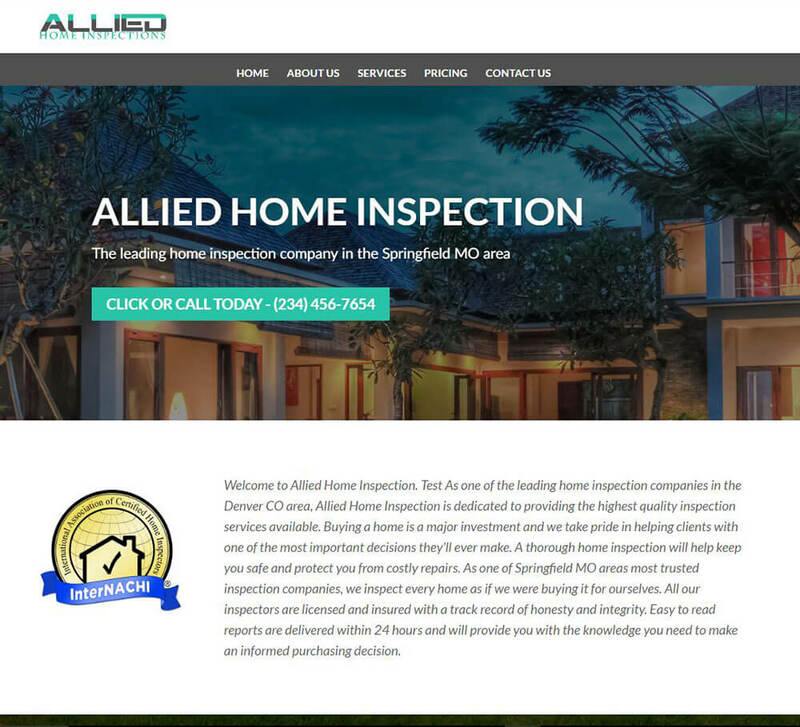 Choose from great looking home inspection website templates or go with a fully custom site. We’ll add your logo and custom match your colors so everything ties together perfectly. 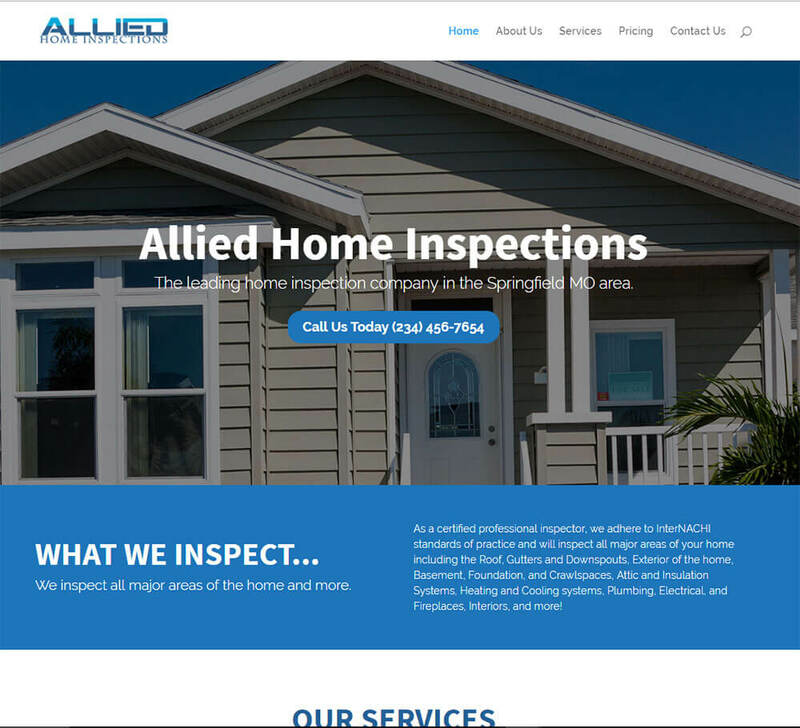 We can also add your inspector image, certifications, and any other content you’d like to include. 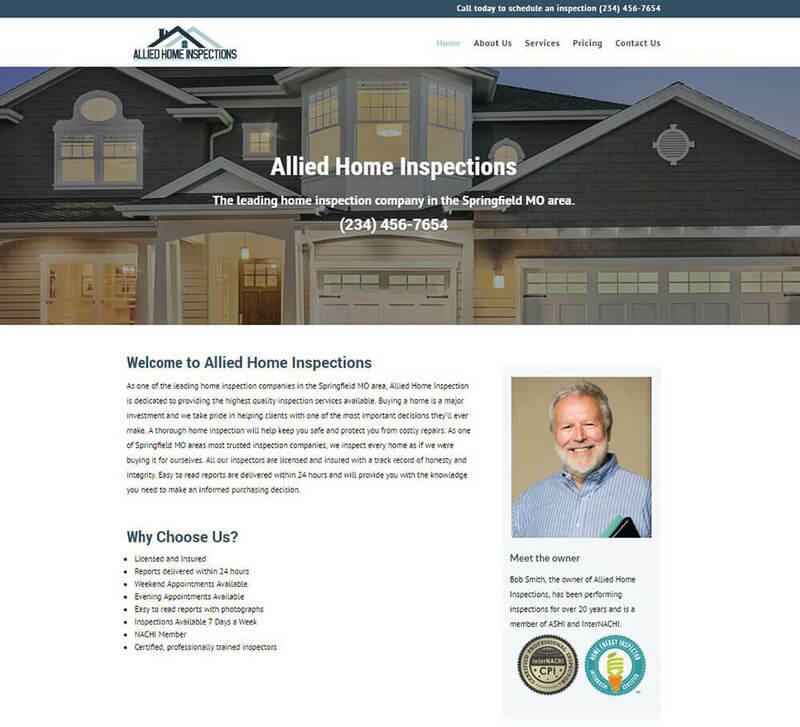 Choose a style from the home inspection website templates below. Then fill out a simple questionnaire and we’ll build the entire site. 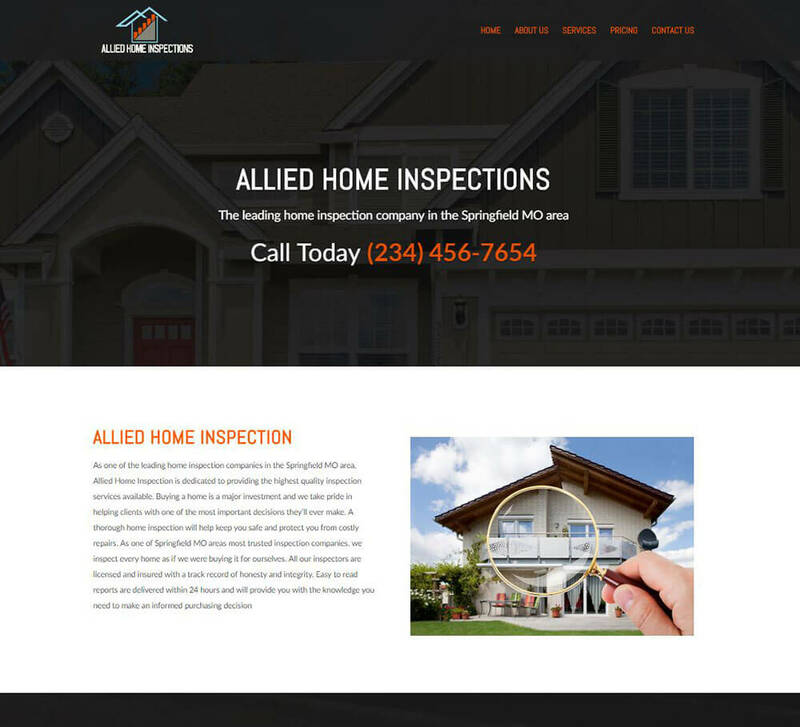 All the colors and elements can be changed to match your business so you’ll have a custom home inspection web design. 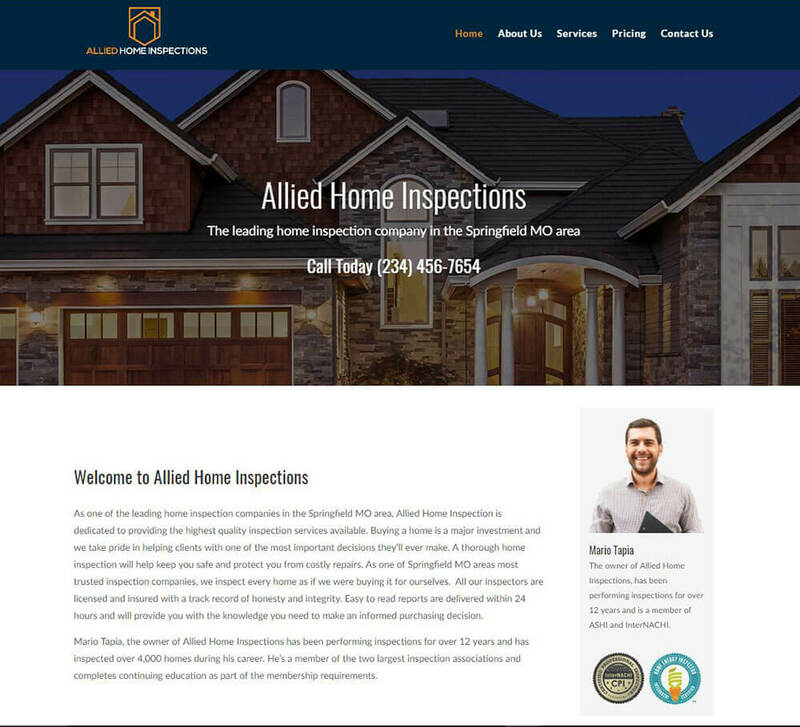 Get an amazing website for about the price of one inspection a year.